I’m a pretty jaded observer of our nation’s footy codes. 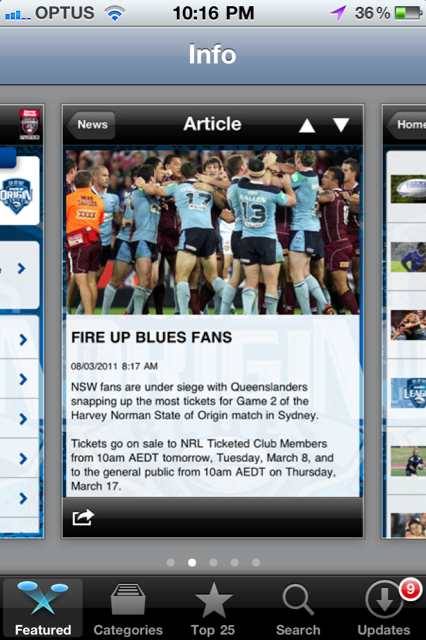 Since high school – the last time I counted myself as a fan – I have seen very little in NRL or AFL that has inspired me. Frankly, most of it just makes me cringe. 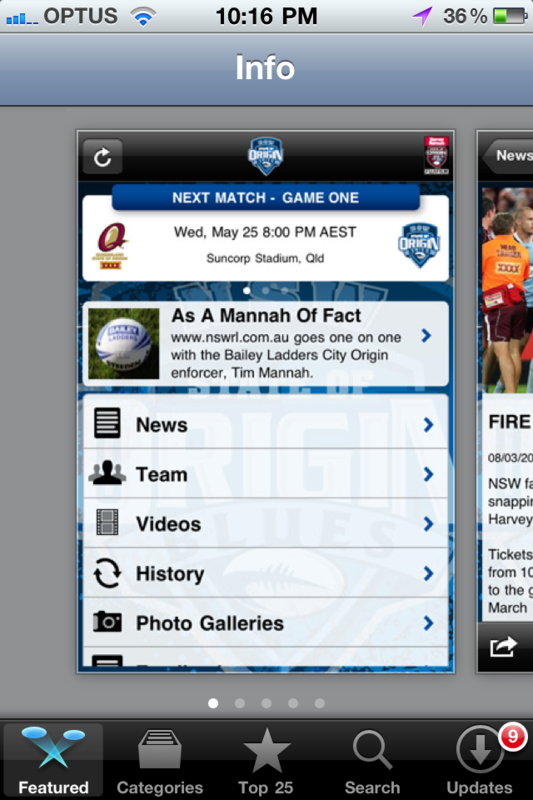 But the NRL’s forward-thinking in building and releasing paid iPhone apps in time for the annual State of Origin series is a very savvy move. The apps appear pretty simple (stats and bio content), running costs would be low (mainly serving videos) and the audience demographic is wide-ranging. Plus, they get a free national platform in Games 1 & 2 to promote the hell out of them. I imagine they had both apps made for less than $40,000 total and they could expect over 80,000 downloads. At $1.19 each, that’s about $50,000 profit and greater audience engagement in a part of NRL jaded fans like me used to love.